Mee Seva Health Card has been issued by the Telangana state government for its employees. Under this initiative, the state government aims at providing the people with cashless treatment opportunities. The facilities will be provided to the employees working in the state government sector. Apart from this the services can also be used by the pensioners under the state government sectors. The new health card services will be provided by the state government of Telangana via the official government website www.ehs.telangana.gov.in. The website service is fully functional online and can be used by anyone who is registered user. Under the new initiative, the employees and pensioners will be issued with health cards that can be used for taking full benefit of health care services in selected hospitals. The state government will also ensure that the selection be made via network of hospitals managed by Aarogyasri Health care trust. The Mee Seva cards will be issued under the supervision of the state government. If the card is not available then the state government will also provide with card ID numbers for the beneficiaries. To make the scheme more successful the state government will also collect a fee of Rs 120 and 90 from Gazette and non-Gazette officers of the state government sector. The scheme will be provided to the employees of the state government sector who are of 40 years of above age limit. Once all formalities have been completed by the employee then the Health car will be issued by next 6 months. In case both husband and wife are employed with government sector then both of them are eligible to claim for the health card service. The health card services can be used by government employees only. It will also be provided to pensioners of the government sector and retirees. The Mee health cards will also be provided to any employee who is above 40 years of age and is still working with the state government sector and are local citizens of Telangana state. To apply under the Me Seva Health Card service, eligible candidates will have to log on to the official website mentioned above. Once on the home page you have to select the Aarogyasri link. Under this you have to make the selection of Mee Seva Card application form. Once selected, then you shall be redirected towards the application form. You have to provide with all your personal information details. The form can also be downloaded from the official website. You can fill in all details after download. You can download the PDF format of the form from the official website. Once all details have been filled in you can make the submission of the form at the nearest Mee Seva center. It is also important for you to submit all your required documents along with the form at the center. When submitting the form candidates are also expected to pay the fee for registration for Mee Seva Health Card. You will be provided with your submission receipt of the form. Once you have obtained the Mee Seva card, each employee will be entitled for availing the treatment worth Rs 2 lakh. The beneficiary can also request for unlimited treatment procedures at the hospitals. 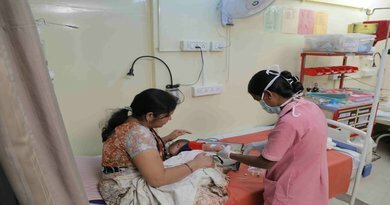 In case the cost of treatment exceeds Rs 2 lakh then the beneficiary will be provided with treatment and additional expenses will be paid by the Aarogyasri health care trust CEO. The beneficiary can also request for free consultation after the treatment has been completed. All documents to be submitted by the beneficiary have to be attested. He is expected to submit a copy of the service ID that includes the beneficiary name and designation. The beneficiary will have to submit a copy of the scanned photo of passport size along with the documents. The applicant has to submit a copy of their Aadhar card along with the documents. The applicant has to submit a copy or certificate of their disability in case he or she is physical disable. If the applicant does not have a Aadhar card then he or she may have to submit a copy of the enrolment slip along with the documents. When visiting the official website, applicants also check with the status of the application at any time. From the website you have to click the check status option. You have to provide with the application form number and click enter. You can also contact the center on 110 toll free number and enquire about the application status.